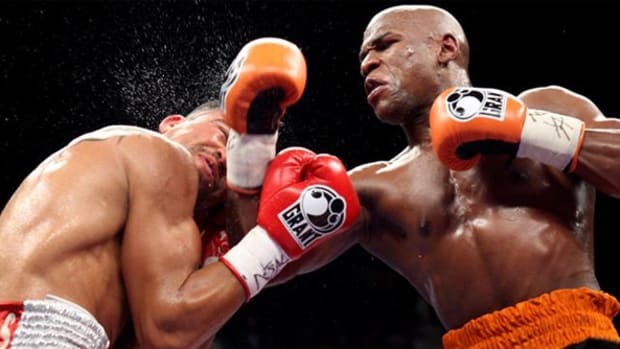 Floyd Mayweather was granted a retroactive therapeutic use exemption for an illegally administered IV before his fight with Manny Pacquiao this year. His explanation for this along with his shady history regarding performance enhancing drug (PEDs) use have some very serious inconsistencies. Has Mayweather been using PEDs all along? Just days before Floyd Mayweather&apos;s final fight with Andre Berto last weekend, award winning sports journalist Thomas Hauser broke the news on SBNation that there were very serious flaws with the drug testing Mayweather has been subjected to over the past few years. The story is important for two reasons. Firstly, it shone light on the United States Anti-Doping Agency (USADA), an organization that appears to have seriously breached ethical codes of conduct by selectively administering tests, granting retroactive immunity for banned substances and ignoring suspect results from superstar athletes. Secondly, Hauser&apos;s story seriously undermines Floyd Mayweather&apos;s carefully crafted image of being a drug free athlete dedicated to his oft repeated slogan of "cleaning up the sport of boxing." There is no direct evidence that Mayweather took Performance Enhancing Drugs (PEDs) for any of his 49 fights, but there are inconsistencies in several of his tests and very serious rumors of failed tests that merit further investigation. There is also direct evidence that Floyd Mayweather&apos;s relationship with the USADA is highly troubling, and calls seriously into question the organization&apos;s legitimacy. Hauser&apos;s exhaustively researched and substantiated piece aside, there is also troubling evidence undermining Mayweather&apos;s version of events as it relates to his fight with Manny Pacquiao back in May of this year and his use of intravenous injection for supposed rehydration purposes. 1. Floyd Mayweather illegally used an IV hours after his weigh in for the fight with Manny Pacquiao on May 1st. The contracted collection agent for the USADA went to Mayweather&apos;s house in Las Vegas to conduct a random unannounced drug test and found evidence of an IV being administered to Mayweather. 2. IVs are often used by athletes for rehydration purposes or to flush unwanted substances in their bloodstream. 3. 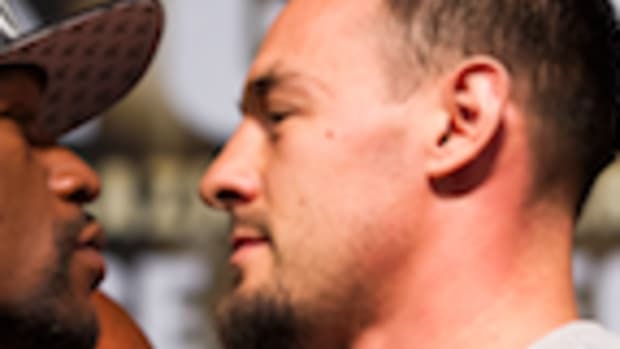 The USADA told the Nevada State Athletic Commission (NSAC) , which had jurisdiction over the fight, claims the USADA told them the IV was administered for rehydration purposes. 4. There were two mixes in Mayweather&apos;s IV, one containing saline and a multivitamin, the other saline and vitamin C. The ingredients were not illegal, but IV administration is, as per the World Anti-Doping Agency (WADA). Floyd Mayweather was inexplicably granted retroactive immunity for this by the USADA. 5. The USADA has extremely secretive testing practices. Writes Hauser:"The organization has resisted filing its boxer drug-testing contracts with governing state athletic commissions. On several occasions, New York and Nevada have forced the issue. Compliance has often been slow in coming.When asked to identify the boxing matches for which a USADA drug-testing contract was filed with either the New York or Nevada State Athletic Commissions, Travis Tygart declined through a spokesperson (USADA senior communications manager Annie Skinner) to answer the question." 6. There is another major drug testing agency in America, the Voluntary Anti-Doping Association (VADA). VADA uses more sophisticated testing techniques than USADA. According to Hauser: "Unlike USADA, VADA utilizes carbon isotope ratio (CIR) testing on every urine sample it collects from a boxer. USADA often declines to administer CIR testing on grounds that it’s unnecessary and too expensive. Of course, the less expensive that tests are to administer, the better it is for USADA’s bottom line." 7. Floyd Mayweather is promoted by Al Haymon, and Al Haymon has a history of paying substantially to use USADA&apos;s services. For perspective, VADA received $16,000 for the April 18, 2015, 140lb fight between Ruslan Provodnikov and Lucas Matthysse, whereas the USADA was given $150,000 as an upfront fee for the Mayweather vs Pacquiao fight. 8. Disturbingly, boxer Erik Morales tested positive for Clenbutrol, a banned substance before fighting Danny Garcia back in 2012. There are two samples used in drug tests, A and B. If an athlete tests positive on the A sample they have a right to ask for the B sample in case of a false positive. Morales tested positive in both the A and B samples on at least two separate test, meaning he tested positive for clenbutrol four times. The USADA did not adequately notify the New York State Athletic Commission of these tests, and the fight proceeded. 9. According to Morales, a USADA official suggested that the tests may have come as a result of him eating contaminated meat. There was no evidence presented for this scenario. 10. Floyd Mayweather&apos;s relationship with the USADA is extremely troubling. The USADA claims to test athletes all year round, but has not done so with Mayweather, instead testing him after his fights are announced. In the case of Andre Berto, this was only 39 before the fight. 11. According to experts the benefits of drug use peak after the athlete has stopped using with certain substances carrying benefit for several months. Testing Mayweather within those 39 days was pointless given any banned substance would not be present in his bloodstream. Why did Mayweather announce his fight with Berto so late? 12. When negotiating the Pacquiao vs Mayweather fight, the USADA presented Manny Pacquiao with a contract stating that they could grant retroactive therapeutic use exemption to the fighters should they test positive for a banned substance. 13. Pacquiao&apos;s camp was outraged and refused to sign the contract, believing Mayweather could game the system. 14. 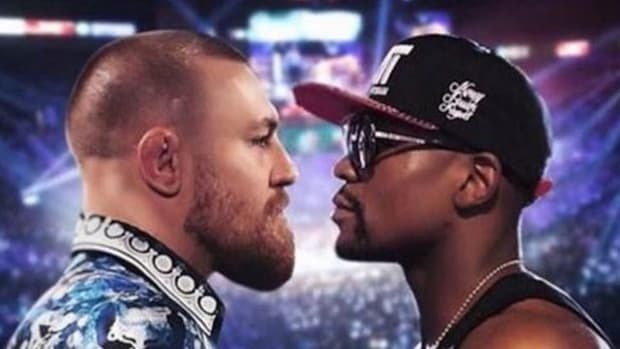 A new agreement was reached, but the protocol was not followed when it was discovered Mayweather used an IV the day before the fight, and the Nevada Athletic Commission wasn&apos;t notified for 20 days after the fight. Mayweather was also inexplicably granted a retroactive therapeutic use exemption by the USADA. 15. There have been several instances when more sophisticated testing not used by the USADA were appropriate for Floyd Mayweather. On at least two occasions, Mayweather&apos;s testosterone to epitestosterone levels have been surprisingly low, a red flag that should initiate further testing. There is no public record of the USADA performing any other tests despite understanding full well that Mayweather&apos;s TE ratio was highly irregular. It was rumored that Mayweather’s “A” sample had tested positive on three occasions and, after each positive test, USADA had found exceptional circumstances in the form of inadvertent use and gave Floyd a waiver. This waiver, according to the rumor, negated the need for a test of Floyd’s “B” sample. 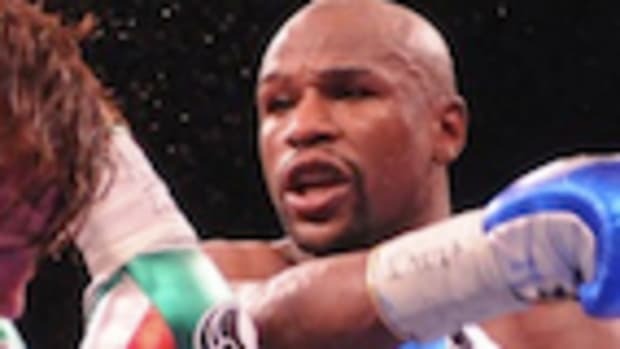 And because the “B” sample was never tested, a loophole in USADA’s contract with Mayweather and Golden Boy allowed the testing to proceed without the positive “A” sample results being reported to Mayweather’s opponent or the Nevada State Athletic Commission (which had jurisdiction over the fights). 17. In response to this rumor, Manny Pacquiao - who Floyd Mayweather had accused in public of steroid abuse - served document demands and subpoenas on Mayweather, Mayweather Promotions, Golden Boy (Mayweather’s co-promoter), and USADA demanding they produce all documents relating to PED testing of Mayweather for his fights against Shane Mosley, Victor Ortiz, and Miguel Cotto. 18. These documents were never produced and have never been made public. 19. Manny Pacquiao&apos;s legal team had sued Mayweather for defamation over his PED allegations, and as part of the settlement, Mayweather not only publicly stated that none of his team had any evidence that Pacaquiao had used PEDs, according to Hauser&apos;s sources settled for "substantially" more than Pacquiao’s attorneys had expected. The terms of the settlement were confidential and are not a matter of public record. PPV revenue will likely clock in around $425 million based on the standard-definition price of $89.95 and hi-def cost of $99.95 (people tend to pick the HD option). It is almost triple the previous record of $153 million for Mayweather versus Canelo Alvarez in 2013. The live gate for the fight was another record at $72 million, compared to $20 million for Mayweather-Alvarez. Closed circuit sales also set a record with nearly 46,000 admissions sold at MGM ResortsMGM +0.00% properties in Las Vegas. Total revenue for the bout should top $550 million when you fold in record sales for sponsorships, merchandise and foreign TV rights, crushing the old mark of $200 million. Mayweather has always touted this testing of his as Olympic-style testing and the gold standard of testing. And that is not what Floyd Mayweather is doing and he has never done Olympic-style testing. A USADA Doping Control Officer (DCO) came to Mayweather’s home on May 1 to collect a urine sample, however Mayweather was dehydrated and unable to produce one. 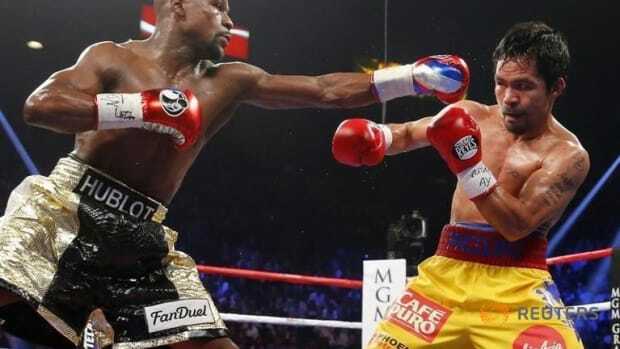 A paramedic was summoned to Mayweather’s home and provided the IV, with the DCO in Mayweather’s presence until the boxer was able to provide a urine sample. Mayweather applied for a therapeutic-use exemption and it was granted after the fight. Such an exemption is not required by NSAC since pre-fight IVs are not banned. In fact, it is a common practice among athletes licensed to fight in Nevada. This story does not make sense for a number of reasons. Firstly, Floyd Mayweather weighed in at exactly 146lbs, 1lb underneath the 147lb weight limit for his fight with Manny Pacquiao. 1lb is a significant amount of weight at the highest levels of professional boxing, and if Mayweather had any problems making the weight, he would have been much closer to the 147lb limit. Furthermore, Mayweather weighed only 150.5lbs 30 days out from the fight, an indication that a cut to 147lbs or just under would not be any trouble at all. If Mayweather was so dehydrated that he needed an IV, one would logically expect his weight to rise significantly after receiving fluids via an IV. 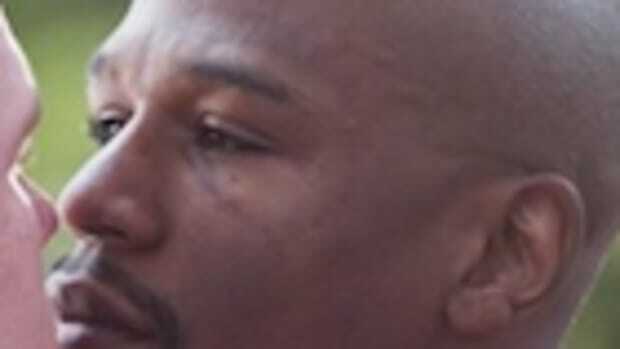 Mayweather reportedly received 750 milliliters of fluid via IV. According to Dr. Flip Homansky, the former Nevada State Athletic Commission’s chief physician, 2 liters of fluid delivered via IV results in 6lbs of bodyweight "immediately." 750 milliliters would have added 2.25lbs to Mayweather&apos;s weight, putting him at the very least at 148.25lbs after the IV (and no doubt more given Mayweather would have consumed a significant amount of fluids immediately after the weigh in). In a video interview posted by Fight Hype on May 5th 2015, 3 days after the fight with Pacquiao, Floyd Mayweather revealed that he weighed 149lbs on the night of the fight. "Going into the fight he [Manny Pacquiao] weighed 152, I weighed 149," said Mayweather. "The Las Vegas...Nevada Commission checked my weight. I was 149, and I ate a lot." This does not make any sense at all. If Mayweather had any troubles making weight, it would have been evident in the amount of weight he put on in between the weigh in and the night of the actual fight. Given fighters Mayweather&apos;s size have been known to put on up to 20 lbs after weigh-ins, one would expect a significant amount of difference on the night of the fight. Mayweather put on 3lbs, and that was after eating "a lot." If Floyd Mayweather was dehydrated after the May 1 weigh-in, the USADA doping control officer could have given him several glasses of water. USADA has yet to explain the medical justification and supporting data that led it to grant a retroactive therapeutic use exemption nineteen days after the fact for a procedure that&apos;s on the World Anti-Doping Agency’s "Prohibited Substances and Methods List". The Daily Banter also spoke with Sean Kneebone, a former Olympic track and field sprint coach with a great deal of experience preparing elite athletes for peak performance and navigating drug testing protocol. "I find it hard to believe that Floyd Mayweather&apos;s team would have allowed this to happen, particularly given the magnitude of the fight and who he was facing," said Kneebone. "You don&apos;t go into a fight with Manny Pacquaio and mess up something as basic as cutting weight. As far as we know, Mayweather has never had problems making the 147lb limit, so at the very least, this is a red flag that warrants further investigation." "This seems unusual, because I&apos;ve never heard of an IV being used to get a urine sample," continued Kneebone. "Give him a bottle of water and wait 45 minutes and you&apos;ll get your urine sample. If an athlete is using an IV to produce a urine sample, this is very big red flag. This doesn&apos;t make sense to me." Technically, the USADA and Floyd Mayweather have done nothing wrong given he applied for retroactive therapeutic use exemption. 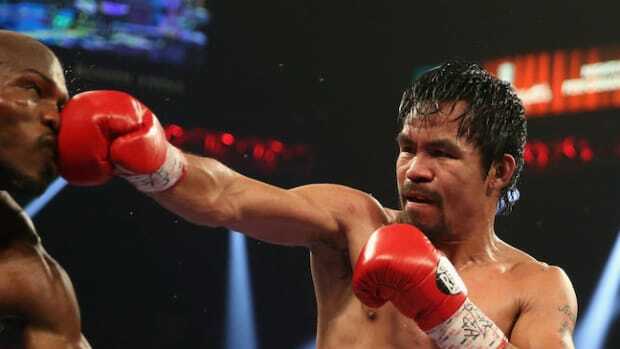 Loopholes in the USADA&apos;s drug testing contract also meant that they were not obligated to notify the Nevada State Athletic Commission or Manny Pacquiao&apos;s team before the fight. Technically, Floyd Mayweather has never used performance enhancing drugs either, but we&apos;ll never know the truth until the USADA publishes the rumored positive tests for his fights with Shane Mosley, Victor Ortiz, and Miguel Cotto. Of course you cannot make a serious accusation based on rumors, but you can at least start asking serious questions. And as of yet, we have not heard any serious answers. If you enjoyed this post please consider becoming a Daily Banter member and supporting original journalism and independent media! 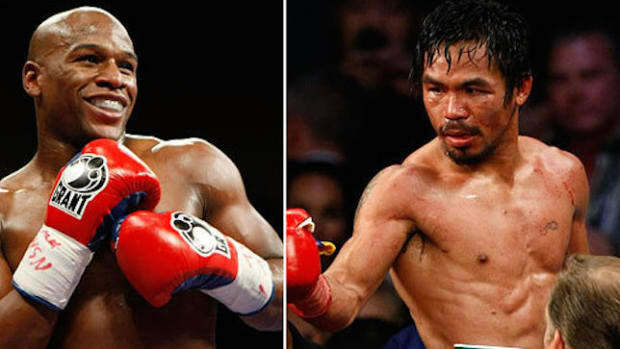 Who Wins the Fight of the Century: Manny Pacquiao or Floyd Mayweather?